"None of you should be making all these decisions in private and without the input of the public." In 1953, the California legislature declared that "the people, in delegating authority, do not give their public servants the right to decide what is good for the people to know and what is not good for them to know" and passed the Brown Act. As a result, the actions of all local agencies, including school boards, must "be taken openly and that their deliberations be conducted openly." The public may be excluded from a meeting "to consider the appointment [or] employment...of a public employee", but "the legislative body of any local agency shall publicly report any action taken in closed session and the vote or abstention on that action of every member present". 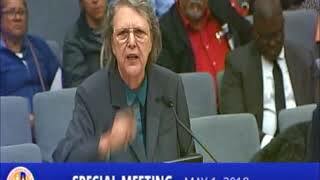 When former Los Angeles Unified School District (LAUSD) Board Member Jackie Goldberg spoke during the 9:00 AM meeting on May 1, there was an audible gasp from the gallery when she mentioned that the Board had already selected a Superintendent and "that he starts on the 15th of May." This directly contradicted the Board's Executive Officer, Jefferson Crain, who had announced at the end of the April 20th closed session that there were "no actions to report due to today's discussion" and they were "going to recess until May 1...at 11:00". During the ten days between these two meetings, community members had been lobbying the entire Board to appointment Acting Superintendent Vivian Ekchian. If they had known the results of a vote had already been taken, they could have focused their energies on urging specific Board Members to change their vote before the contract was finalized. At 4:30 PM on May 1, the Board announced that Austin Beutner would be the LAUSD's next Superintendent. In a closed session that lasted approximately four hours, the board had not only managed to conclude a discussion that had been suspended on April 20, reportedly without a vote, but had also negotiated employment terms, had their legal team draw up a contract specific to Beutner, discussed the terms of this document and voted to approve it. However, it soon became apparent that the Board had given themselves a head start. After the meeting, Board Member Scott Schmerelson released a statement which said in part that on "April 20, by the slimmest majority possible, four members of the LAUSD Board of Education (Garcia, Melvoin, Vladovic, Rodriguez) voted to authorize negotiations for an employment contract with Mr. Austin Beutner as the General Superintendent of the District." Ms. Goldberg had been correct in her assertion that the decision had already been made. In a letter dated May 7, 2018, the East Area Progressive Democrats (EAPD) released a letter to the Los Angeles District Attorney's Public Integrity Division detailing the LAUSD Board's failure to announce that they "had selected a candidate, the name of the candidate they selected, that a vote had occurred, the outcome of the vote, or how or whether each Board member had voted in that decision in the April 20 closed meeting." The club, which is the largest in L.A. County, also maintains that "the Board's silence and obfuscation about its April 20 decision was intentional" and these violations of the Brown Act "tainted the Board's actions and decisions." They, therefore, "ask the District Attorney's office to uphold the Brown Act and invalidate the Board's vote." While the circumstances related to the hiring of Beutner provide the most flagrant example of an action that "kept the public in the dark", it is not the only time that the public has been prevented from having "meaningful participation in the workings of our government" since the pro-charter majority took control. Before he was forced to resign as President, Ref Rodriguez eliminated all committees that included members from outside the Board, including the Budget, Facilities and Audit Committee that helped uncover the $1.3 million iPad boondoggle. As the current President, Monica Garcia has removed the ability of the public to comment on items that are not on the agenda during special meetings. 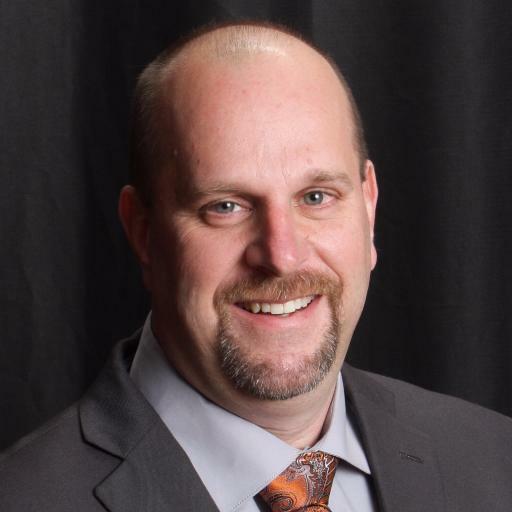 Board Member Richard Vladovic has publicly complained about decisions being made without input from the minority board members which suggests that serial meetings are occurring. These are meetings that are "conducted through a series of communications by individual members or less-than-a-quorum groups, ultimately involving a majority of the body's members" and are a violation of the Brown Act. "Although this decision was predictable and disappointing, I encourage our great team of employees and parents to continue communicating their needs and concerns to the superintendent, to me and the other Board Members."